Over 85 years of sales & service experience! 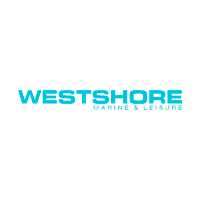 Westshore Marine & Leisure is located in Arborg, MB on the north side of Winnipeg. We are a family owned and operated business who pride ourselves on the customer experience. Sales to service, we look to provide you with the most enjoyable experience around. Come see why Westshore Marine & Leisure is the fastest growing Powersport dealer in MB! We specialize in Polaris®, Yamaha, Argo®, Evinrude / BRP, Lund, G3, Mercury, Berkshire and Hewes and carry several different brands of trailers such as Haulin, US Cargo, Lightning and Pace-American and have an extensive parts catalogue for all your repair, replacement and aftermarket performance needs! Westshore Marine & Leisure	50.9022631, -97.2185046.